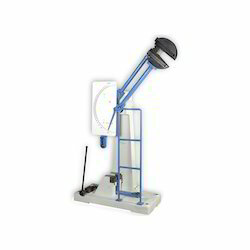 Our product range includes a wide range of pendulum impact testing machine, digital impact testing machine ri 300 e and charpy impact testing machine. We are a trusted organization of this domain in offering a wide gamut of Pendulum Impact Testing Machine to our valued customers. 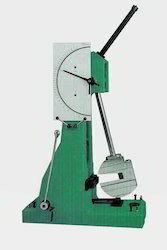 This machine has the large rectangular dial with outer scale for Charpy test and inner scale for Izod. Also, in this, the pendulum is supported separately in two positions by a common latching tune like the upper position for Charpy test and the lower for the Izod test. 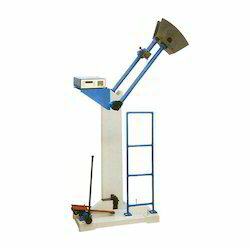 Since the inception of our firm, we are offering a quality assured array of Digital Impact Testing Machine. Suitable for Charpy & Izod Impact tests on various materials. Works on Pendulum principle. Rigid designs of machine frame & other parts assure minimum energy absorption during fracture which results in improved test accuracies. The highly stressed & wearing parts like support blocks & strikers are of special alloy steels duly heat treated. Safety guard for the operator is provided. Pendulum drop angle for Charpy is 140° & for Izod is 90°. Caliper gauge for checking V notch for Izod & Charpy. Templates for checking 10 x 10 mm cross section of Izod / Charpy test specimen. Depth notch gauge including V & U notch gauges for checking depth below V/U notch, angle and radius. Izod support for 0.450" dia Izod round specimen. Self centering tong for quick and accurate setting of Charpy test specimen. Owing to the knowledge of this domain, we are offering to our patrons a broad spectrum of Charpy Impact Testing Machine.